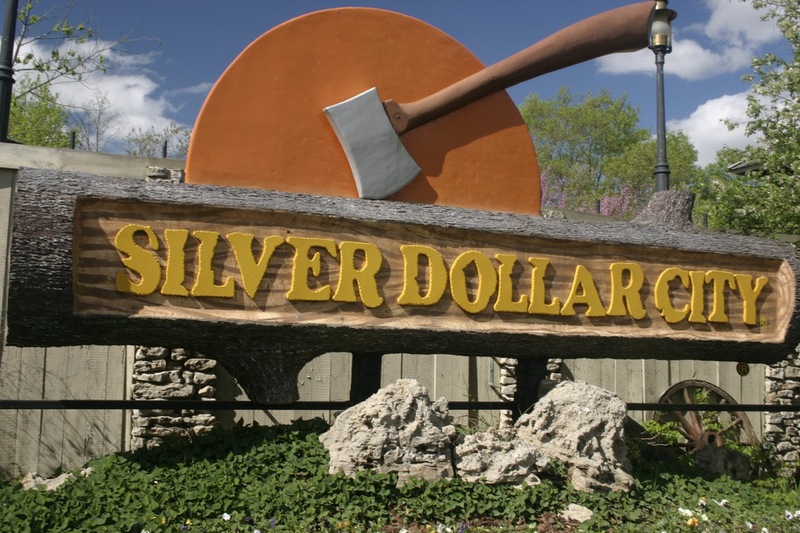 The perfect place to stay for your Silver Dollar City vacation! 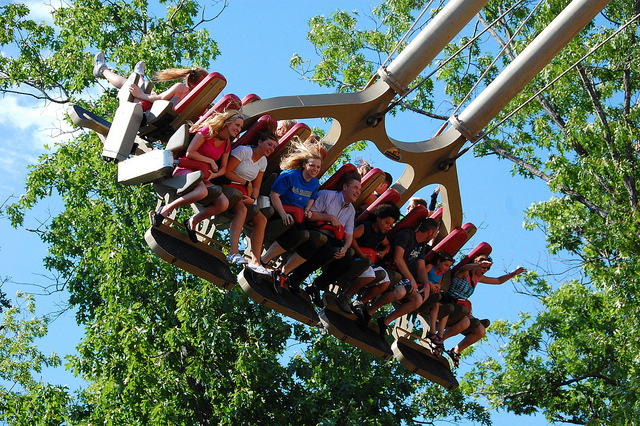 Silver Dollar City is one of the most fun places on the planet. Seriously! 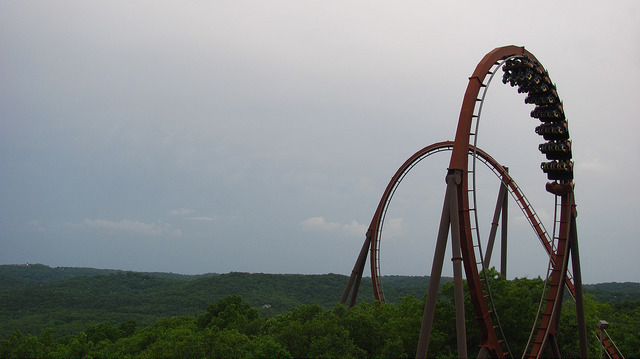 So when you come to Branson, Missouri with the family, you don’t want to miss it. But you need to know that the traffic coming from Branson towards Silver Dollar City can be killer. It’s not fun to wait in that line that can stretch for literally miles, let me tell you! That’s where Clear Lake Condo Rentals comes in. We are located right next door to SDC – in fact, our property adjoins theirs! That means it is a very simple and quick matter to get to the park from here. You will avoid ALL the traffic! 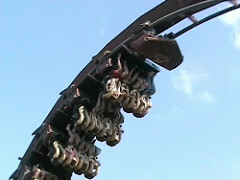 And yet it only takes 10 minutes to drive to the Branson Strip, so you can still enjoy all the things to do in Branson. 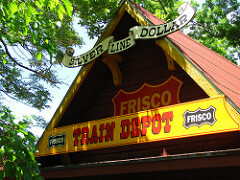 We are truly in the BEST location to experience all that Branson has to offer. You can be surrounded by peace and quiet but still get to all the attractions with ease. And every vacation rental condo we offer gives you access to our large indoor heated pool and splash pad, so weather can't ruin your vacation! Clear Lake Condo Rentals offers resort condos at hotel prices. Why be crammed into a hotel room and have to eat out for every meal when you can have 2-4 bedrooms and a full kitchen? Plus large-screen TV’s in the living area and all bedrooms. And a full-size washer/dryer. 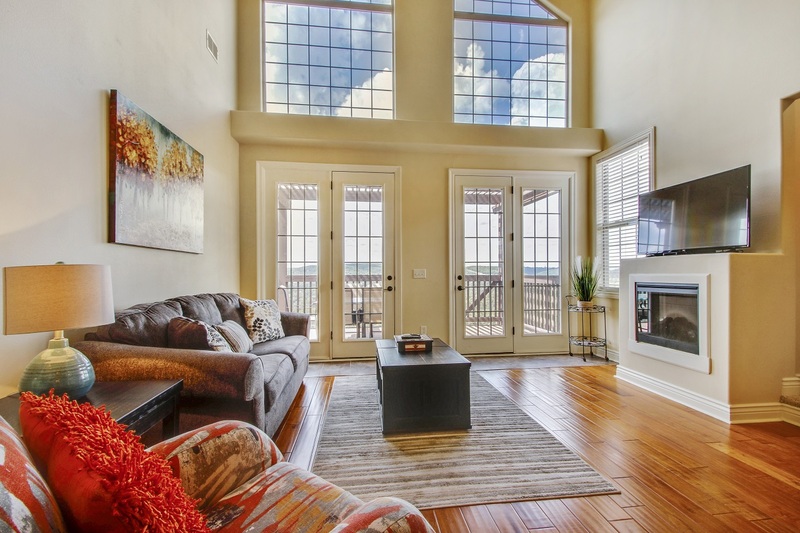 Not to mention the amazing Table Rock Lake views from many of our condos. We also offer pet-friendly lodging. We have a dog run and several doggie stations on our property. Check out our selection! And if you have impaired mobility and need to be able to walk into your resort condo without navigating any stairs, we have what you need!